Welcome to 14 Juniper Lane in S. Forest Beach! Scenic oceanfront views and this charming Hilton Head vacation home set the tone for an unforgettable vacation with five bedrooms, five and a half baths, two living rooms, bedding for 11-13 guests, private pool and spa, and both covered and uncovered furnished patio areas perfect for relaxing or entertaining. Views of the Atlantic Ocean are enjoyed from this vacation paradise, and the quality of design, materials and furnishings will impress the most discriminating tastes. The first floor of the home features 3 bedrooms, 3 baths and a living room with sleeper sofa and access to the pool deck. One oceanfront bedroom features a Queen bed and full bath with walk-in shower. An oceanfront bedroom with a King bed and a bedroom with one Queen and one Twin beds share a bath on this level, and you have to walk through the bedroom with the queen and twin beds to access the hallway to the private king bedroom. These two bedrooms share a full bath with walk-in shower and separate steam room and are the perfect set-up for a family with kids. The living room on this floor features a large flat screen TV and comfortable furnishings and a short staircase to a raised level includes a queen sleeper sofa. 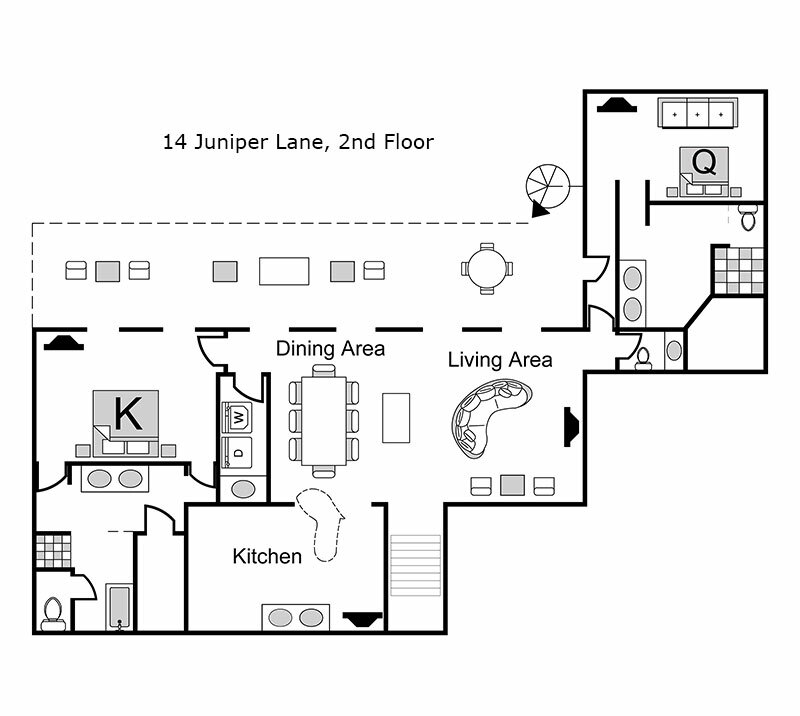 A third bathroom that serves the sleeper sofa and living room is also on this level. 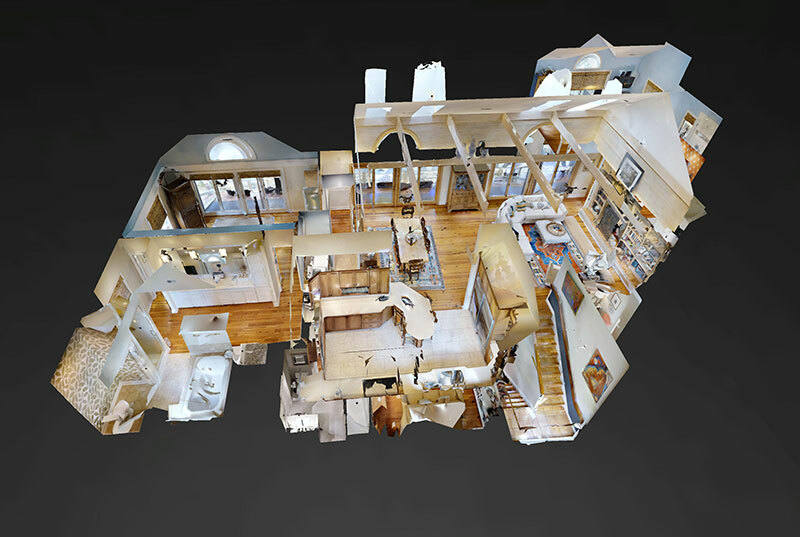 The 2nd level of the home features the kitchen, main living and dining rooms with balcony access, master oceanfront bedroom with King bed and master bath, and a second oceanfront bedroom with King bed and full bath. Gorgeous ocean views and breezes can be enjoyed from the fully furnished covered porch on this level which extends from one side of the home to the other. 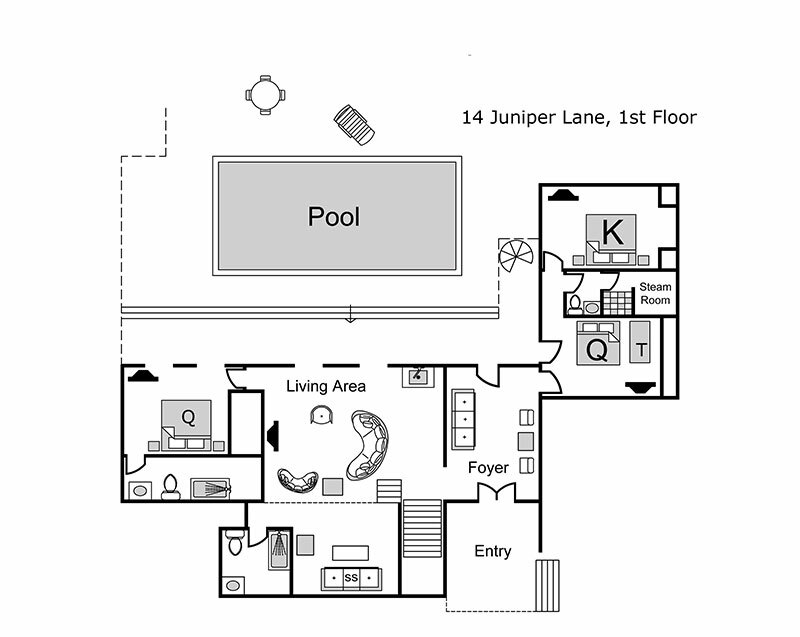 The amenities at 14 Juniper Lane include TVs in all of the bedrooms and living areas and wireless internet. Outside amenities include a large rectangular swimming pool with separate sitting area (with jets but unheated), gas grill, patio furniture in covered and uncovered porch areas, gas firepit, outdoor ping pong table and private beach path with rocking chairs, hammock and bench seating in designated patio areas with ocean views providing the perfect backdrop. We loved our week at 14 Juniper Lane. The house exceeded our expectations. It was clean and very well appointed. The floor plan makes it so nice if someone wants to get off by themselves. The bedrooms are situated for privacy. The easy access to the pool and beach was good for the little ones. The kitchen was stocked with everything needed to make dinners for our large family. We love Forest beach road and proximity to Coligny Plaza. We look forward to returning in 2019. We had such a wonderful trip to HHI staying at 14 Juniper. The house was perfect. Very private. Kids had a blast ! The pool was larger than any of the other pools we've rented from which allowed the kids to have a week full of competitive swim races it was a blast and because it was a salt pool or skin was not destroyed . We also loved how private the beach was . The home had an incredible view with beautiful gardens bird-feeders and a wonderful Hammock to relax on while taking it all in. The neighbors house was being redone but once Destination Vacations learned about it they were very generous in accommodating us. We will definitely be renting from you all again. Thank you. Our family - three generations - totally enjoyed the exquisite home at 14 juniper lane. It was beautiful, well equipped and very comfortable. They had everything we needed in the kitchen and the pool and direct ocean access were a huge benefit! We spent many hours on the top and bottom porches enjoying the ocean view and also the birds, squirrels and even one little brown bunny feasting from the bird feeders. It was great to have 3 king size beds with connecting bathrooms as well as the queen with it's own bathroom. The decor was soothing as well as bright and cheery. The location just outside the Sea Pines Ocean gate made it easy to get around and enjoy the island. Quicker access to restaurants and shops than staying inside Sea Pines. Peaceful stay in a beautiful well appointed home! We really enjoyed the home with our six children ages 30-10. We also had 4 grandchildren 18 months to 4. We were so glad for the gate at the top of the spiral stairs. Plenty of room and entertainment for everyone. Our week was very hot and the house was a haven from the heat. We also enjoyed the pool and the shade that was provide by the trees. Pool service mid week was a nice surprise! They blew off all the decks and patios. We would love to come back to this home just trying to figure scheduled for next year. I would fix master tub jets, organize kitchen and remove all the different sets of China for a less crowded kitchen. We loved the cd music proved and we couldn't read enough with the amazing selection of books! Truly was a blessed week.